Big time love with a small town feel. A kissing bridge to be specific. Well... and a girl, and her ailing mother and, a gorgeous displaced Aussie . So, what is one to do when one returns home to find one's ex-fiance, is now the Mayor and threatens to destroy one's entire world, and a hot Aussie is living with one's Mom? Dilemmas abound as Becca Lane returns home to small town Heartland Cove, to discover her mother acting strange, a town in shambles, and an incredibly good-looking Aussie, squatting in her former heritage home. What to deal with first? Worse, Jebson Jefferies, Becca's former fiancé, is threatening to destroy the town's centuries-old tourist attraction (and sole source of income) the second-longest covered bridge left standing in all of North America -- which just happens to be part of Becca's family legacy. Trent Nash is a displaced Aussie with problems of his own. He's escaped to small town Heartland Cove to conceal the secrets of his checkered past, but the stunningly determined, sassy little red-head that just walked through his door, now threatens to unearth them. Things heat up, and Becca herself embroiled in the fight of her life as she tries in to save Heartland from a seemingly inevitable fate. She could really use some help. Will the good-looking newcomer, Trent, be able to put his fears aside long enough to come to Becca's aid, or will he forever live with his secrets and an empty heart. Jules Bates has always been a serious fish out of water in small town Heartland Cove. She has big dreams of escaping one day to the Big Apple, with her one of a kind wedding dress creations, where she plans to become the next famous designer- like her mother always knew she would. But there's this little matter of leaving her dad...all alone, with mother's ghost. Elbow deep in worm dirt at her father's infamous Bernie's Bates' Bait Shop - a stranger blows into town. Jules can't help this eerie feeling she has the moment she meets him, like she already knows him, like they've already met- somewhere else in time. Jayden Sievert has come to Heartland Cove in search of answers where he finds himself in Jules' father's bait shop. When he announces his plans to purchase the Caldwell Manor at the edge of town, an old abandoned, seriously-haunted seaside mansion overlooking the water, Jules is more than flabbergasted. The property has inhabited by the not-so-friendly ghost of Edgar Locklear for over a century now. Everyone knows that. But if befriending a cantankerous ghost it what it takes to unlock the secrets of Jayden's sketchy past, he's willing. Now that he's met the extremely lovely, precocious Jules/Juliet Bates though, he's questioning the urgency of his mission. Could their chance meeting really just by chance, or was it a supernaturally-arranged fate? Coming Soon. YES, seriously! How great is that, right? Aunt Penny's not getting any younger. Neither is Bernie Bates. Laura and Becca are right, Penny could be a progressive women and go over there and ask Bernie out. After all, he lives right across the bridge....over the kissing bridge. She doesn't have to wait. It's not like that kind of behavior is longer frowned upon as a woman anymore. Even here, in backwoods Heartland Cove. Will she? Won't she? Can she? Should she? Bernie Bates is an old fashioned gentleman, long-time widower, and an empty nester, now that Jules, his beloved daughter has moved out. Which leaves Bernie to wonder, is bait all there is left in his life now? Could there be more? Should there be more? Should he venture across the old rickety bridge, and do something he should have done years ago? A cold winter storm brings a chance charmed meeting. Is there really lasting warmth among strangers after the storm, or is this just a really big mistake? London Lancaster doesn't know what she's doing anymore. She thought she did, but now? Expecting an engagement ring for Christmas, from her dashing soon-to-be Lawyer boyfriend Haddly Harris, she was sorrowfully disappointed, but is sure it's coming for New Years. After all, he did stress he wanted to surprise her. London thinks she has her life is all sewn up, but lately Haddly seems more interested in his studies than London. Then again, he is about the write the bar. Haddly's right, she is becoming awfully needy. Still something isn't right, it's been niggling at her for a while now. Is Haddly really the one for her and she for he? A polar vortex to meet all porlar vortex's sweeps into town hell bent on helping her answer that question, leaving London stranded at the Toronto Train Station, and if not for the generosity of a total stranger, homeless for the night, when she arrives into town late, and find herself locked out of their apartment. Reluctantly, London accepts the strangers invitation to an innocent sleep over, and agrees to spend the night at his appartment, but there must be rules...rules she stresses. After all, she's taken. Nothing yet. Keep checking back! 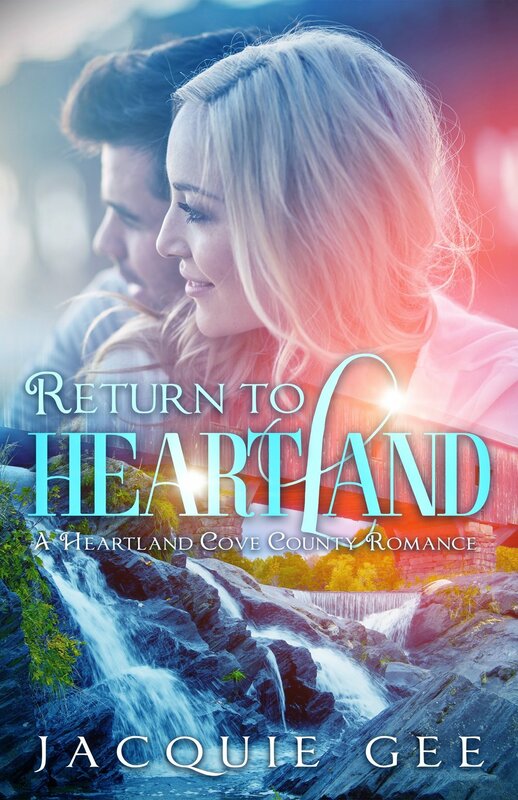 A planned new release in the Heartland Cove Series should be coming soon. Don't forget to sign up for my NEWSLETTER before you go.